Working with someone trustworthy is vital if you want your home improvement projects to succeed. It can be tough, however, to find the right people who can deliver the results you want. In this article, Peak Roofing Contractors Inc. offers tips on separating the bad contractors from the good ones. Established roofing companies in Northern Virginia should be able to give you their contact information such as phone number and address. You can check our website for both, as well as the areas where we provide our services. It can be hard to trust a company that pressures you into hiring them. We value you as our client, and you can expect our team to be polite and courteous when we speak with you. We will provide you with as many options as possible to meet your needs. An honest contractor should not have any issues providing you with references of their past clients. In our case, you can be at ease knowing that we have positive feedback. You can check their testimonials on our website to get an idea of how we do our job. 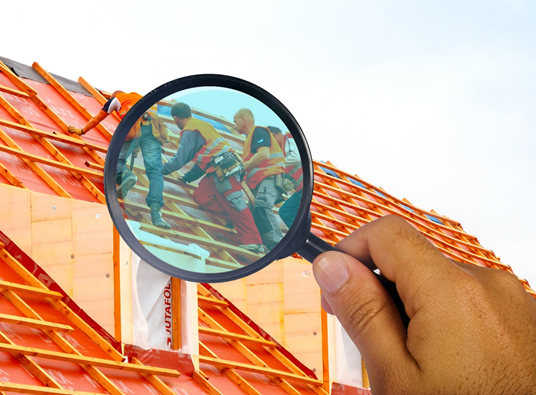 You can be sure that the Manassas roofing we provide will meet your needs. Many states require contractors to register themselves to operate in the state where they plan to do business. If a contractor fails to give you a copy of their license or insurance, then it is a clear sign that they are not the people you want to work with. Fortunately, you can sit back and relax knowing that we are fully licensed and insured. Count on Peak Roofing Contractors Inc. to provide you with great service and results. Call us today at (703) 745-5153 or fill out our request form for your home improvement needs.